Decided to go ahead and fix some of the minor rust areas on the roof as well as get the roof in primer to keep the bare metal areas from rusting worse. 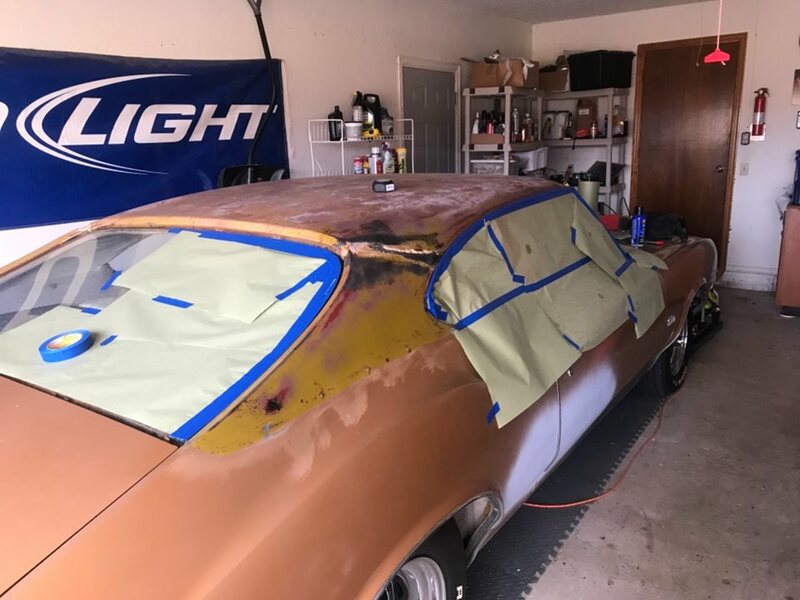 Sanding down whats there and using a rust converter to keep the bad areas from getting worse. 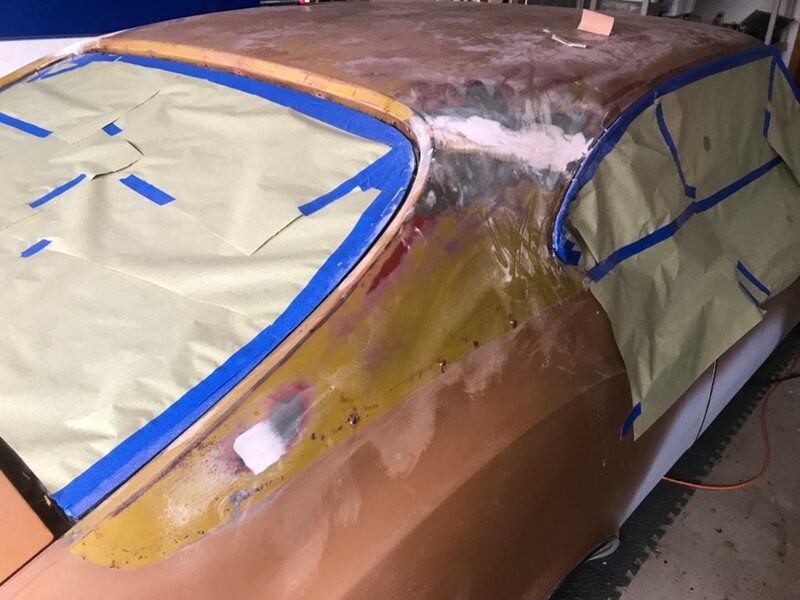 Also the big Bondo spot is where the rear quarter and roof meet. From the factory there was body filler there, and it had started cracking and rusting at the seam. 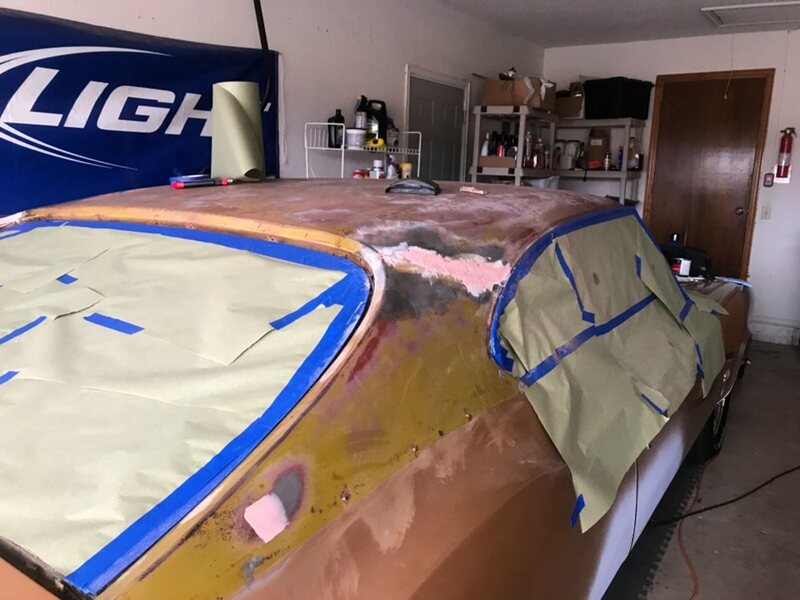 So i ripped it off along the seem until the rust stopped, and am filling it back in with bondo to get that nice smooth curve everyone loves lol. Cut some rust out. Trying to decide how far in to cut and then I'll be ready to patch in the new metal. Out with the old to get ready for the new!